to serve God and love the world. Welcome to the website of Stonehaven South Church of Scotland. As a congregation we are Reformed in theology and Presbyterian by organisation but we hope that those of different traditions or none will find a warm welcome at our worship services, our social events, whenever and wherever you meet us. 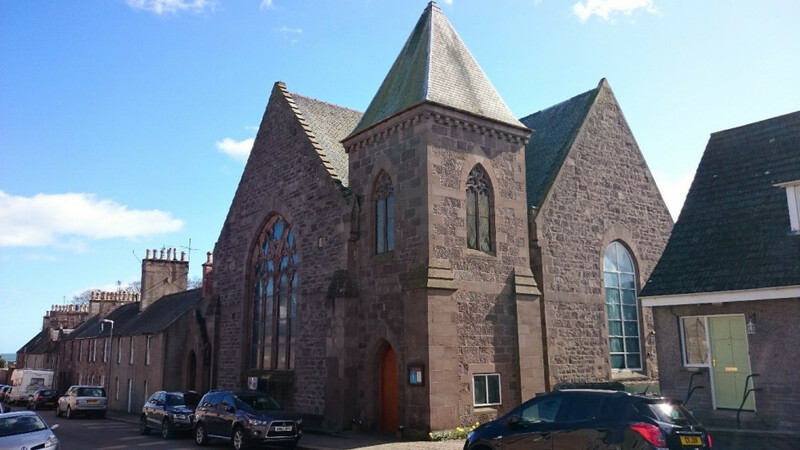 Our church buildings are located in Cameron Street, Stonehaven but you will find us in many other areas of the town alongside our brothers and sisters in Christ: working with staff and pupils in our schools, leading services in local residential care homes, visiting the bereaved and the sick at home or in hospital. Both as a linked congregation and as individual church members we aim to live out our faith as part of the local community of Stonehaven and beyond. On Sunday 5th March the new wall hanging depicitng senes from the Old Testament was dedicated. 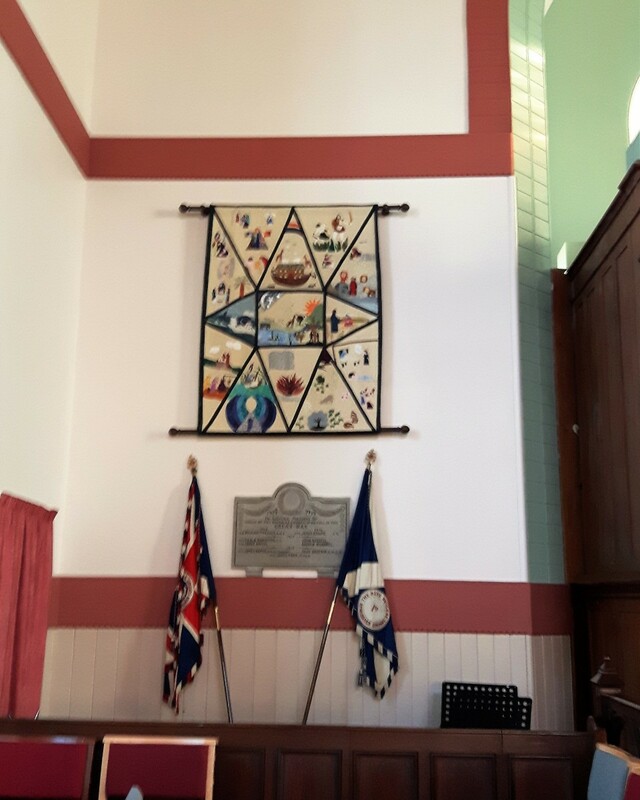 The hanging was designed, fashioned and donated by the members of the Craft Group. A brief summary of our latest worship service combined with details of events in the week ahead are submitted to the local press. To read our latest worship article, please click on Worship at the top of the page. To read our latest news article please click on Publications at the top of the page. Unfortunately our quarterly Southscene magazine is not yet available on the website. If however you wish to read the 'Letter from the Interim Moderator' and some of the articles, click on Publications at the top of the page. We are a Fairtrade church within the Fairtrade Presbytery of Kincardine and Deeside. To find out more visit www.fairtrade.org and www.traidcraft.co.uk . We have been recipients of two eco-congregation awards and are now working towards another. To find out more about eco-congregations please visit www.ecocongregationscotland.org .